Ever since the Wine Institute put me on their wine writers list, I get invitations to all kinds of events from all over the state. 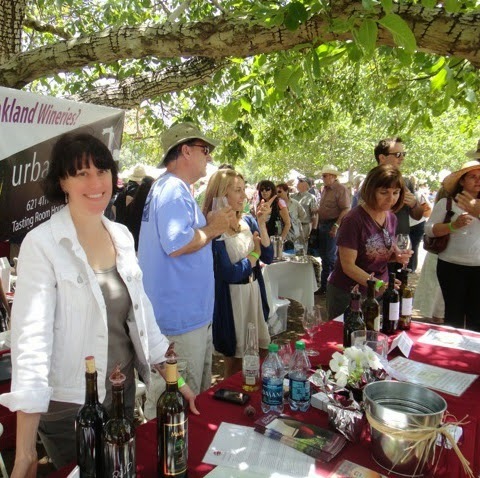 My favorite is the Barbera Festival, held each June in Amador County. I'm looking forward with anticipation to this year's festival. If it's not already sold out... you should go! Tickets are sold at www.barberafestival.com for $50 general admission and BRAVO FOR THIS! $30 for Designated Drivers. 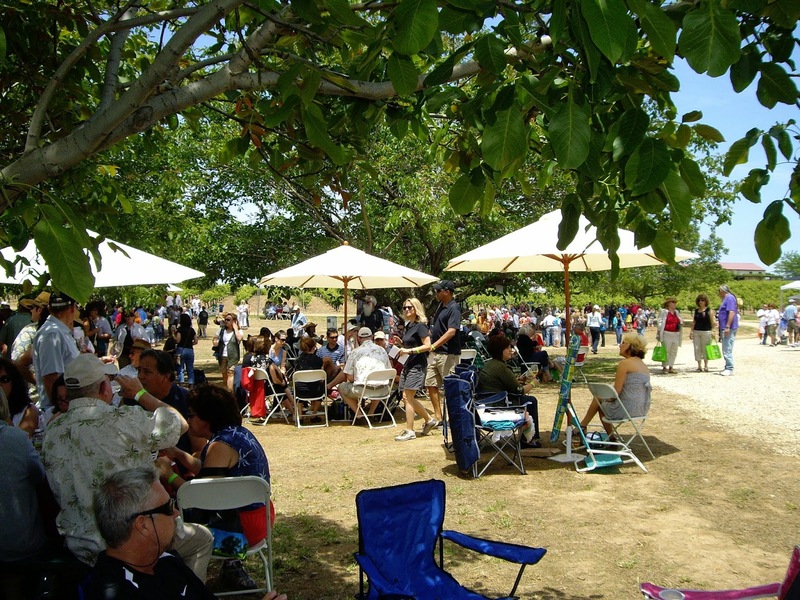 This year, the fifth one, the festival moves to the historic Terra D'oro Winery/Montevina Vineyards in Plymouth. Saturday June 13 is the date. The organizers call Terra d’Oro Winery/Montevina Vineyard "the original home of barbera in Amador County." It is located at 20680 Shenandoah School Road, Plymouth. All proceeds from The Barbera Festival benefit the Amador Community Foundation. "All of us here at Terra d’Oro are VERY excited to host the 2015 Barbera Festival!” said Jeff Meyers, Terra d’Oro Vice President and General Manager. “We are long-time supporters and producers of this very important Italian variety and feel privileged to be the host of this prestigious event and can’t wait to get started on it!" Barbera-friendly cuisine for the Festival is provided by top area restaurants and caterers, including the prestigious Zagat-rated Restaurant Taste, local favorite Incahoot’s BBQ, premier Andrae's Bakery, the "fiery" tastes of Wood, Fire & Smoke, and more. Barbera originated in the Piedmont region of northern Italy. In California, over 7,000 acres of barbera are planted. Louis Martini, produced the first varietal barbera in Napa in 1954. Today, nearly 200 California wineries produce barbera wines. Barbera is known for its generous acid structure and low tannin levels producing a smooth wine that pairs well with food. 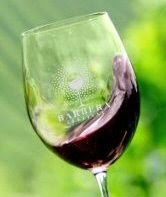 Barbera styles range from bright flavors of tart cherry, raspberry, and spice, to riper styles evoking flavors black cherry, blueberry, blackberry, and vanilla. Tickets include admittance, wine tasting and commemorative wine glass. Food, provided by top restaurants and caterers, is sold separately. Beer and white wines are also available for purchase. Free parking is provided. What do flying bells, exploding carts and circus acts all have in common? Easter. Around the world, Easter traditions vary from religious to a bit unusual but they all end in celebratory libations. Here's a quick look at international Easter customs and their shared wines. Louis Jadot: Puligny-Montrachet 2012v (SRP $76.99) – A distinctive, yet delicate wine with notes of fresh fruit and vanilla that carry on to the palate and culminate in a lingering finish. This wine is pairs well with lighter meals and cheeses. Louis Jadot: Pommard2011v ($64.99) - A masculine full- bodied Côte de Beaune red with a fruity depth of character and earthy aromas and flavors. This wine shows well with lamb, complex beef dishes, pungent cheeses. Tenute Del Cabreo: La Pietra Chardonnay di Toscana(SRP $36.99)- This Chardonnay has rich, intense aromas and flavors that are velvety, complex and balanced, with notes of spices, vanilla and butter. It pairs well with white meats, fish and aged cheeses. Craggy Range: Te Muna Road Vineyard Sauvignon Blanc (SRP $21.99)- This wine shows richly expressive aromas and flavors of fresh lime, lemongrass, ripe nectarine, and citrus. Overall, the wine is powerful, crisp, clean and dry. It pairs well with aperitifs, seafood and poultry. Craggy Range: Te Muna Road Vineyard Pinot Noir (SRP $45.99)- This dense yet elegant wine offers black fruit, floral and spice aromas and flavors. The palate is silkily structured with layered fine tannins, culminating in a finish that gradually unwinds, revealing bright red berry and violets. This wine is delicious with poultry, lamb and mushrooms. Many thanks to Jennica Ossi of Kobrand for compiling this information and providing photos! at the Vins de Provence tasting in San Francisco in early March. Forget all those old notions about rosé wine—that it’s sugary-sweet, that it’s produced as an afterthought by mixing excess red and white grapes. Au contraire! This frequently misunderstood category stands on equal footing right alongside its red and white counterparts. In fact, today rosé accounts for some 30% of total wine consumption in France, where it was first crafted more than 2,000 years ago. Americans are catching onto the trend. U.S. retail sales of imported rosé wines have grown by double digits in each of the past 10 years. A substantial number of the imported labels hails from Provence, the romantic landscape of alternating hills, gorges, and lush river valleys that runs 150 miles inland along the sun-kissed French Mediterranean coast. The largest rosé-producing region in the world, Provence presents a mosaic of terroirs hospitable to the grape varieties most commonly cultivated to give the authentic blush wine its refreshingly crisp, dry taste: Grenache, Cinsault, Syrah, Mourvėdre, Tibouren, Cabernet Sauvignon. The grape skins are removed before fermentation to attain the characteristic pale pink color and fruity aroma. In large part, rosé’s surging popularity can be attributed to its versatility. From ski slopes to sailboats, rosé is in demand year-round as an apéritif, accompanying the main meal, or with dessert. The price point is attractive, too: many Provence wineries export AOP (Appellation d’Origine Protégée) vintages that sell for $20 a bottle or less at retail. Here are three 2014 rosés well worth decanting. Château d’Esclans was established by Sacha Lichine, son of Alexis Lichine, the legendary wine expert and author of the Encyclopedia of Wines and Spirits. While the domaine’s chalky-clay slopes produce some of the world’s most exclusive rosés, “Whispering Angel” Côtes de Provence Rosé 2014, at $20 per bottle, offers a pleasantly affordable entrée into the highly esteemed brand. Described as a “chameleon,” the 13%-ABV Whispering Angel will compliment any meal, from seafood or steak to barbecue or pan-Asian cuisine. In addition to its unique terroir of schist and clay soil, Domaine de la Fouquette is known for “green” growing and harvesting practices. The estate’s pale and fruity Rosée d’Aurore Côtes de Provence 2014 boasts intense, complex flavors of citrus. This is the rosé to serve at cocktail hour with nibbles of olive tapenade or for mains like bouillabaisse, the classic Provençal fish stew. The 12.5%-ABV Rosée d’Aurore sells for less than $20 per bottle. The four Brun brothers, the third generation at the helm of Château de Brigue, blended the latest technology (including the use of screw caps) with the agronomic savoir-faire of their engineer father to produce Brigue Provence Côtes de Provence 2014. This entry-level rosé (12.5% ABV), which retails at $13.50 per bottle, offers notes of lemon, pear, grapefruit, and mineral. The fruity, fresh and balanced wine pairs well with fish, seafood, poultry, stews, fresh vegetables, and other Mediterranean classics. So the next time you’re debating between red and white, think pink instead, and chose a rosé. A votre santé! 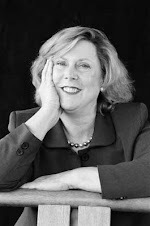 Nicole Zaro Stahl is a professional business writer based in San Francisco who covers food, beverage, technology, distribution, and logistics topics. Chadds Ford, PA--Today’s packaging technology merges smoothly with Jim Osborn’s historical approach to crafting hard cider. Osborn, the winemaker at Chaddsford Winery, the largest and best known in Pennsylvania, evokes a centuries-old tradition with his contemporary rendition of the beverage favored by North American colonists and now embraced in a dynamic revival. The new “fizz” screw cap liner from ACI Cork USA marries well with Chaddsford Hard Cider, thanks to its unique ability to retain fresh crisp flavors while offering ease of consumer opening and reclosability. Chaddsford’s own history is one of award-winning wine production. A stone’s throw from the famous Revolutionary war site, the Battle of Brandywine, the Winery has steadily established a tradition of locally-sourced, quality wines since its founding in 1982. Osborn was inspired to apply his talent and creativity to hard cider early last summer. He started with 1,000 gallons of fresh-pressed apple cider, which he then cold-fermented and left unfiltered, capturing the pure, simple nature of the fruit. The result is a European-style cider much like that consumed by his forefathers—and a big hit among visitors to both the Winery tasting room and the Chaddsford retail shop in Peddler’s Village, in nearby Bucks County. Osborn was also drawn to hard cider for pragmatic reasons. Using just Pennsylvania-grown apples, the cidery that provides a key ingredient in Chaddsford’s Spiced Apple wine presses the proprietary blend on demand, with overnight delivery for maximum freshness. The availability of a year-round supply aligns perfectly with Osborn’s plan to produce hard cider on demand as well. “The beauty of it is that I am not locked into a specific season, and I can utilize all the equipment we already have in house,” he comments. Since its debut last fall, Chaddsford has sold 500 cases of Hard Cider from its two retail outlets; plans call for an output of 2,000 cases in 2015. There is interest in launching the product into the Winery’s Mid-Atlantic distribution network, “but we haven’t cemented that decision yet,” Osborn says. As he eyes the multiple attractions of his new product—its lively taste, 6% alcohol by volume, and naturally gluten-free composition–he sees a bright and fizzy future ahead. The Chaddsford Winery and tasting room are located at 632 Baltimore Pike, Chadds Ford, PA 19317, (610) 388-6221. 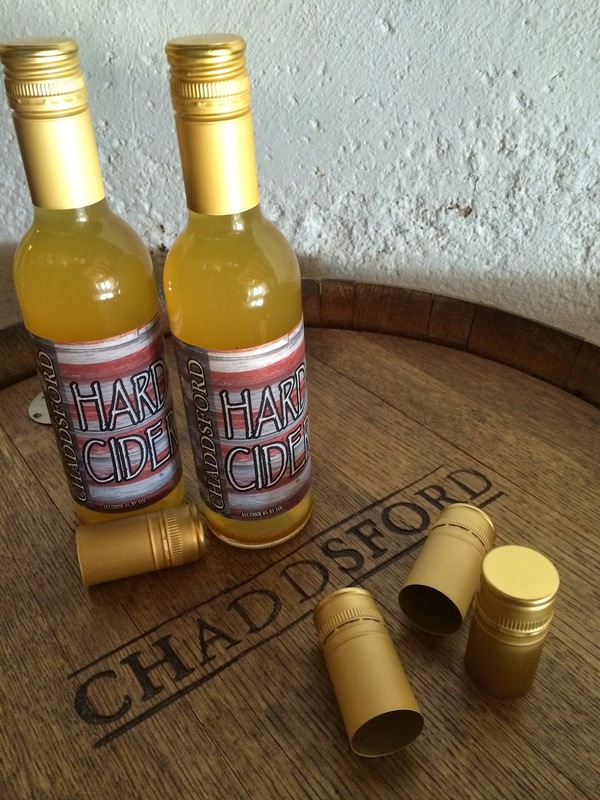 For more information on products from Chaddsford Winery and Hard Cider, go to www.chaddsford.com. ACI Cork USA, celebrating its 11th anniversary in the United States, is located at 2870 Cordelia Road, Suite 150, Fairfield CA 94534. Telephone: (707) 426-3566.